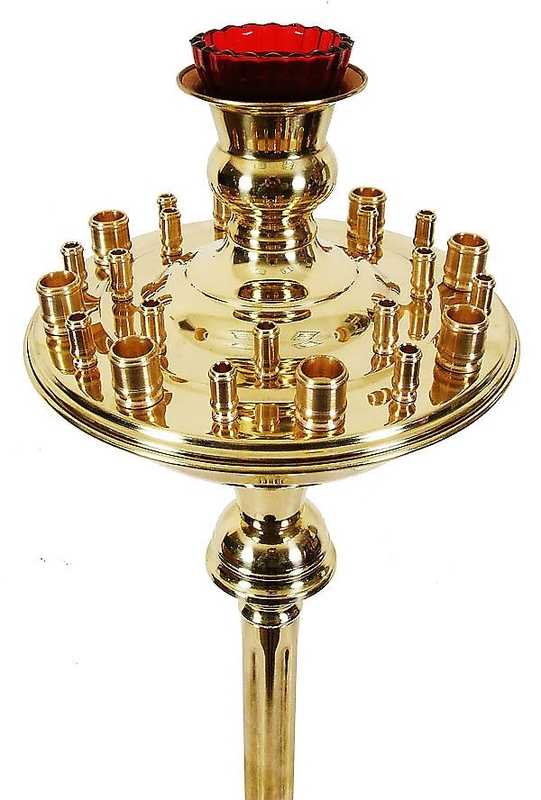 Church floor candle-stand for 56 candles - Istok Church Supplies Corp. Excellent traditional church floor candle-stand. Brass, casting. Size: 13.0''x13.0'' (33x33 cm), inside diameter for candle: 4.9'' (124 mm).